Grady Hendrix knows a little something about Satan, as both his non-fiction Paperbacks from Hell and his fictional canon would attest. As concerned hand wringers have long known, those who know much of the Dark Lord and Master are also quite familiar with Metal in all its forms – Heavy, Dark, Speed, Thrash, and, Beelzebub help us, Nu – and in We Sold Our Souls, Hendrix literally marries the two. The names have changed a bit, but the facts remain: listen to the “wrong” music and be damned. Hendrix’s satire of dark materialism is sleek and compact, about as subtle as some of music it pays homage to, and is best read while wearing a lead foil hat (tinfoil is for amateurs). Kris Pulaski was on the verge of making it big with her band Dürt Würk when co-founder Terry Hunt decided to go solo, ruining the lives of his bandmates in the process. Some 20 years later Kris, works the night shift at a hotel, is forbidden by law from playing music, and is six weeks away from homelessness. When she sees that Terry’s Blind King is having a farewell tour, Kris tries to get the band back together to confront him – only to find that there may be darker forces keeping them apart. Kris is Hendrix’s primary protagonist, but he also introduces another woman, Melanie, who has the same goal but for different reasons entirely. You might think that you’d get alternating chapters, but the novel’s scale is heavily tipped in Kris’ favour; Melanie is introduced so that she might be background noise until such time as the story rightfully needs her. Hendrix provides meta commentary when he notes that Kris has not spoken to a woman outside of her mother or a customer for years, and has a less than complimentary stance on the unsavoury elements of the male parts of metal fandom – but Melanie is more plot device than character, and Hendrix is able to get away with it because of his conceit of the universe providing. Before they split up, Dürt Würk perfected the concept album in the form of Troglodyte, their long buried work that may (read: does) hold the key to defeating the malign powers that hold humanity in its thrall. To keep herself sane when events take a dramatic turn, the album returns to Kris’ mind on repeat. 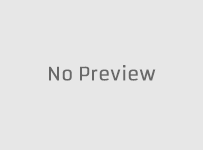 Each chapter is intercut with news reports, interviews and critic’s notes, some of which suggest that Troglodyte, as gleaned from bootlegs, is not a great album – classic hedging on Hendrix’s part in case the reader doesn’t like the art within the art. But Troglodyte speaks to something primal: the need for stories to be told, even in less conventional formats. While “Black Iron Mountain” is kept deliberately vague, Troglodyte’s journey is clear enough – and not entirely literal in its parallels to Kris’ own – that we become invested in it. If We Sold Our Souls has a weakness, it’s that it constantly quotes lyrics of imaginary songs that have never been set to music. We can comprehend, but for the most part, we cannot begin to hear. We Sold Our Souls name checks many real acts, and others that, even if you’ve not heard of them, are probably real. If you’d not thought of Korn or Slipknot for a thousand years, surprise! They’re still together, and they’re performing between the pages of this book! The genres and demographics that play alongside The Blind King seem an unlikely, even Mötley, crew, but if there’s one thing that can bring large and disparate fandoms together, it’s Satan. Hendrix has a gift for brevity: We Sold Our Souls is a compact ride, a 40 minute LP rather than a double album. There is no chance for Kris to outstay her welcome, and her bandmates are just fleshed out enough. There are some moments of dread – never outright horror, despite the subject matter – but, more importantly, Hendrix wraps his finale in moments of magic so pure that any sins he had committed up to this point would have been forgiven. In the end, you could almost swear you can hear songs that have never been written, never performed, and never recorded. It’s the transcendent moment that you crave in any story that features music at its core – just without the literal application of music. 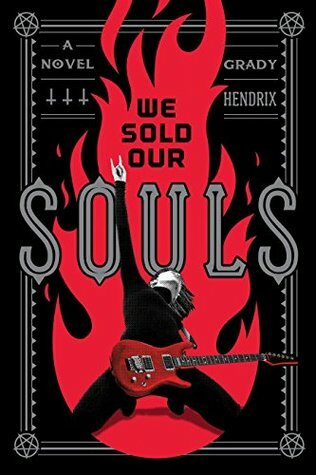 We Sold Our Souls is a treat for Metal fans who dream of being part of something bigger – albeit without the mutilation and murder – and a delight for those hooked into urban fantasy or a casual acquaintance with the occult. It may be strange that the forces of darkness are not our friend, given that we spend so many of our days pledging allegiance to a series of vaguely unnamed dark lords and masters, but it’s not so dangerous to enter into a shadowy contract with Hendrix himself: there’s a hole in the world, but there’s a light at the end of this tunnel.